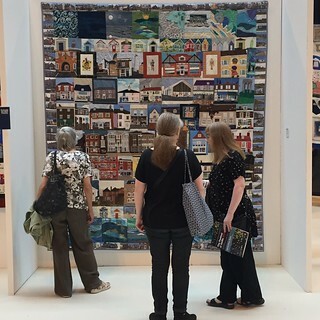 I recently returned from Festival of Quilts in Birmingham, England. We had such a delightful time. 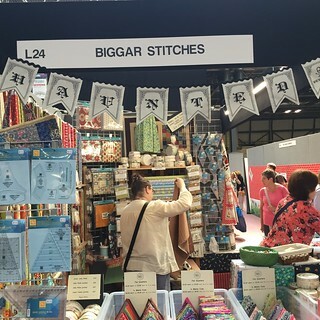 This is England’s largest trade show and I can certainly see why. The show was a buzz full of energy and excitement. 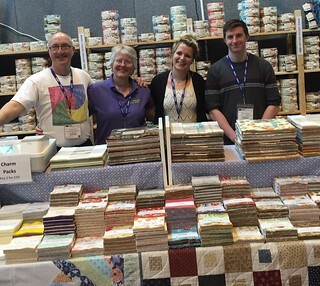 One of Moda’s International Distributors, Winbourne Fabrics had a booth to meet and greet quilters and sewists from several countries. 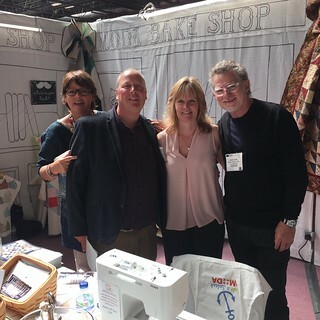 Some of the sales team along with the President of Moda, Mark Dunn were present as they demonstrated Moda Precuts. 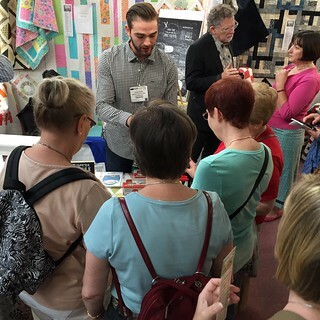 They even had a few sewing competitions showing some free patterns from the Moda Bake Shop. 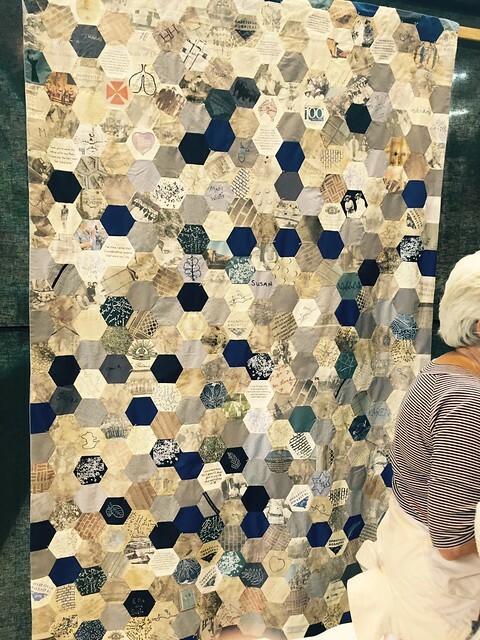 Janet Clare stopped by to share her designing process and the place went crazy. We got to meet store owners that were passionate about their craft and also had a wonderful selection of moda everywhere. It was so much fun! 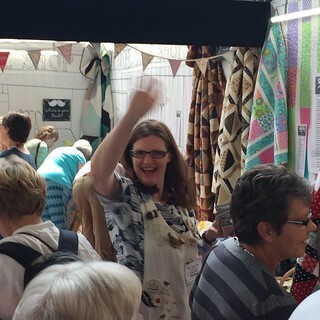 The show was full of charity quilts. I believe they called them aid quilts. 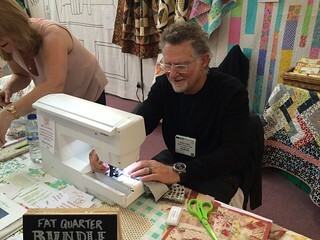 There were quilts made by all kinds of groups either raising awareness for a cause, raffling quilts to raise money for an organization or to commemorate a milestone. 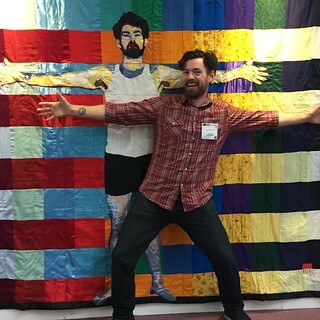 This quilt immediately drew me in. Isn’t that what a quilt at a show is supposed to do? Was it the classic blue and white? Was it the variance of texture? Was it the simple repetitive shape of the hexagon? I would say YES to all of the above. 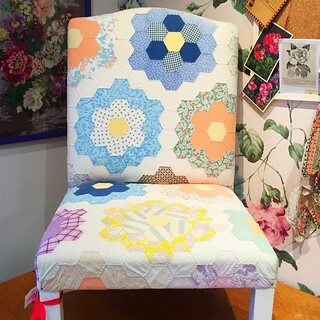 It was not until I made my way through the crowd that I was able to actually appreciate the true charm of this quilt. 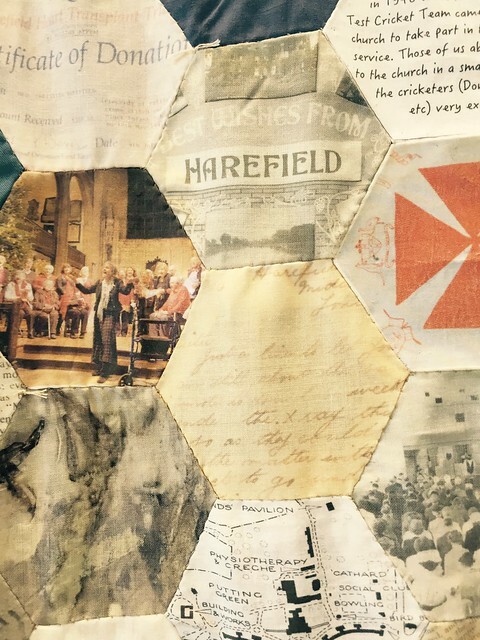 The quilt was made to document the history of a hospital. 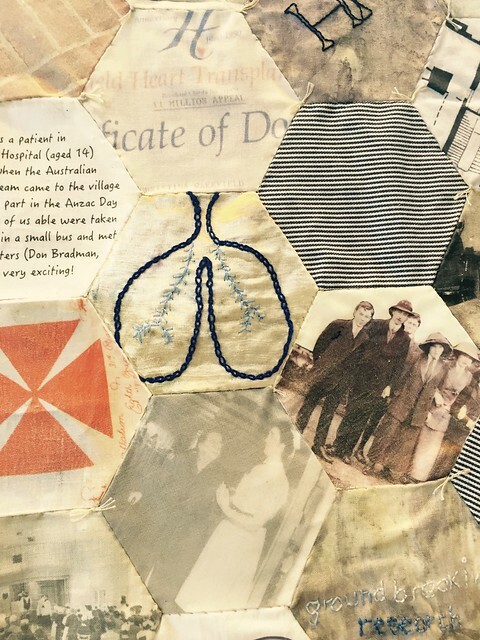 An aid society had taken pieces of cloth from the hospital and combined it with notes from patients, memorabilia, embroidery and so much more. Each piece was a small piece of the history and told so many different stories. A few other of my favorite pics from the show. 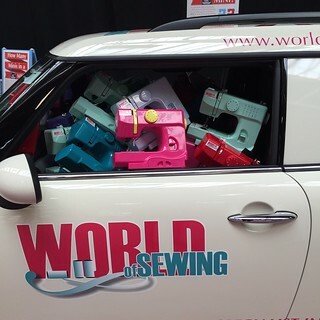 A car full of brightly colored sewing machines! Who wouldn’t have wanted to drive off with that baby? 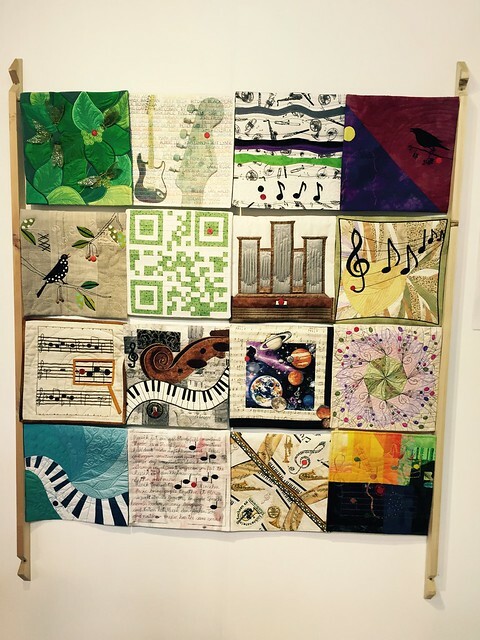 A music inspired mini quilt challenge. Black, white and red! No trip to England would be complete without a stop over at Cath Kidston for a little souvenir shopping. 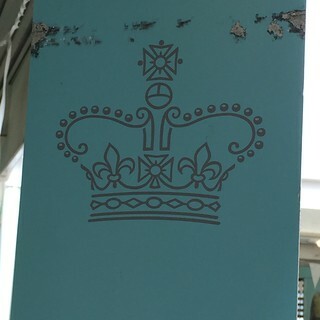 And a visit to see the Queen! 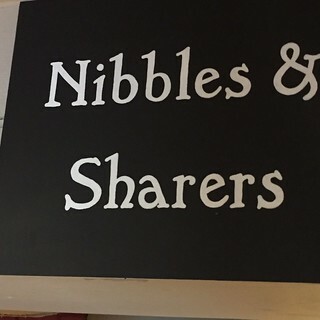 You have got to love a country that has Nibbles & Sharers. I have the greatest job ever.